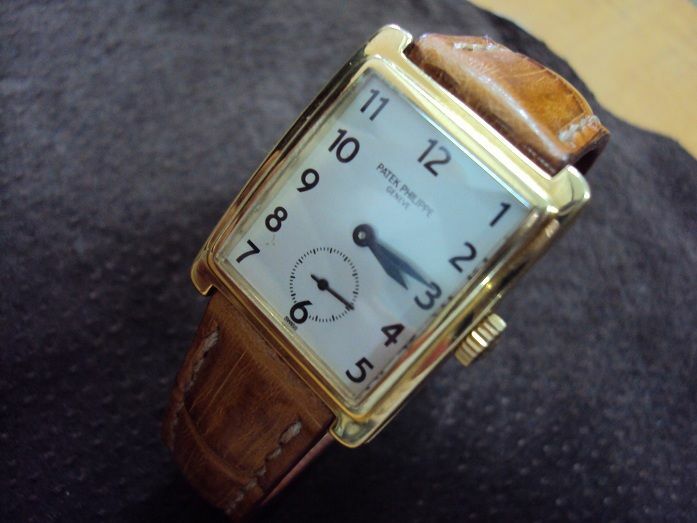 TimeZone : Sales Corner » FS: Some custom strap Svw450~460 include PATEX PHILIPPE, Roger Dubuis G43,OMEGA,Panerai,SEIKO 6105. 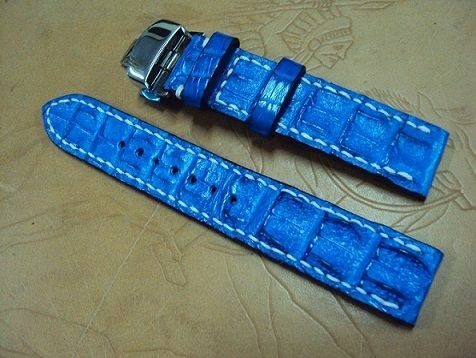 Here are some Cheergiant custom straps of various brand watches Svw450~460 include PATEX PHILIPPE, Roger Dubuis G43 golden square, OMEGA, Panerai Radiomir, SEIKO 6105. 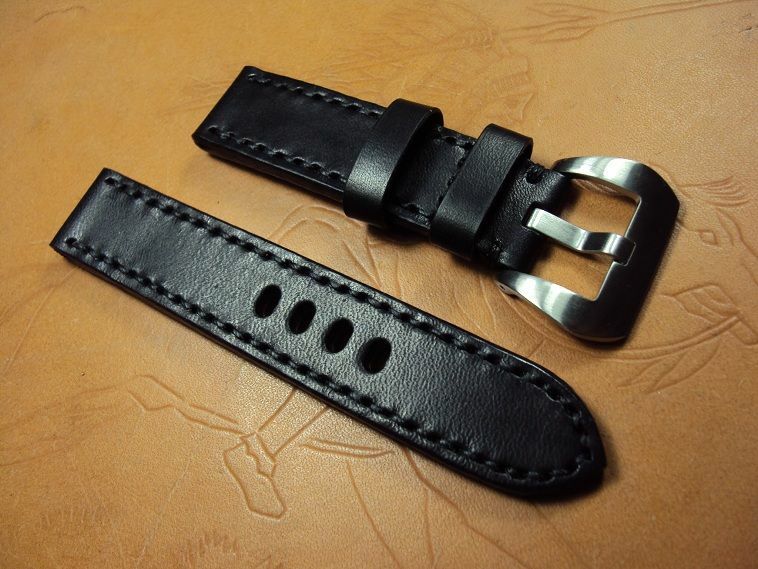 Svw450 Panerai XL ultrasoft black vintage leather strap, 26x26mm, 85x180mm, thick 5.0mm, white stitch. 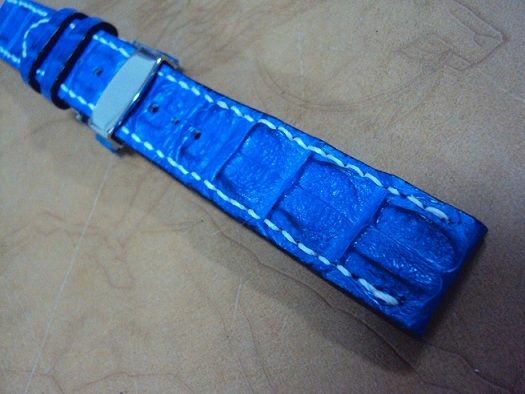 Svw451 Custom strap, navy blue big horn crocodile strap, 20x20mm, 80x130mm, thick 3.5mm taper to 2.8mm, white stitch. 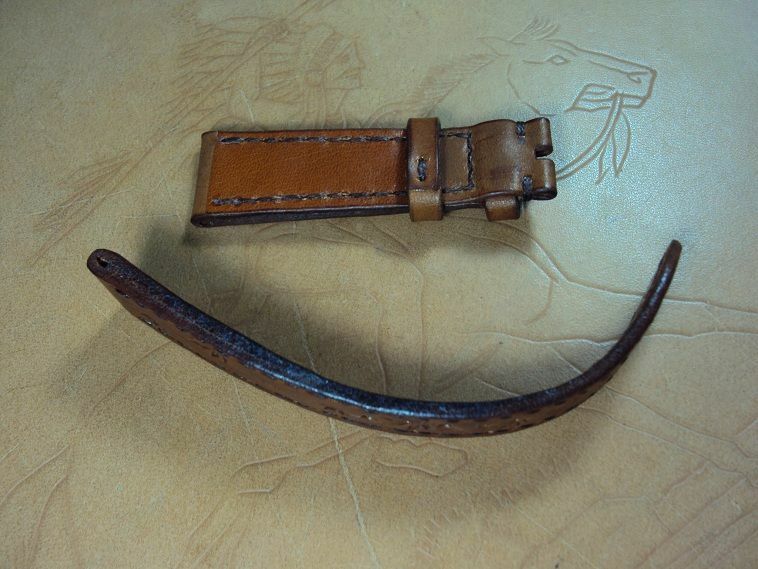 The big horn croco strap is priced at $ 270 USD, it charges the promotional price at $ 220 USD. 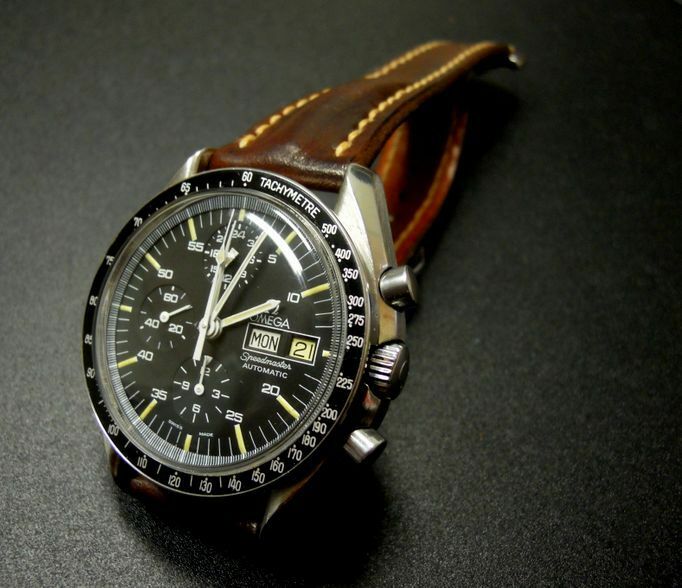 Shipping for worldwide Express Mail Service please plus extra $24 USD. 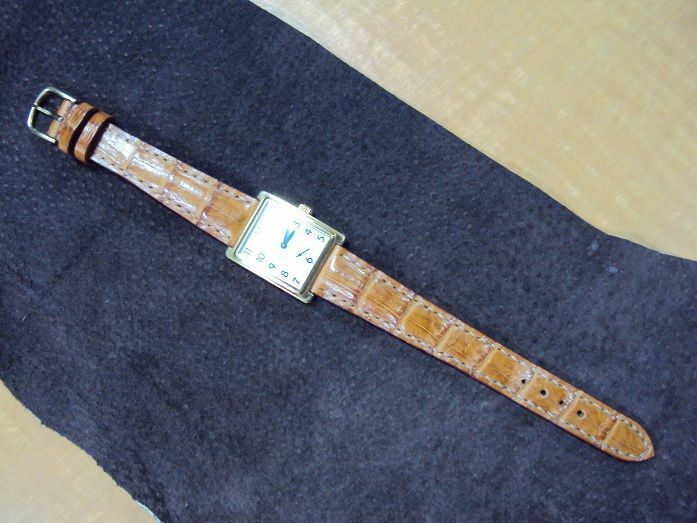 Svw452, PATEX PHILIPPE heavy padded honey brown crocodile strap, 18x14mm, 8x125mm, cream stitch. 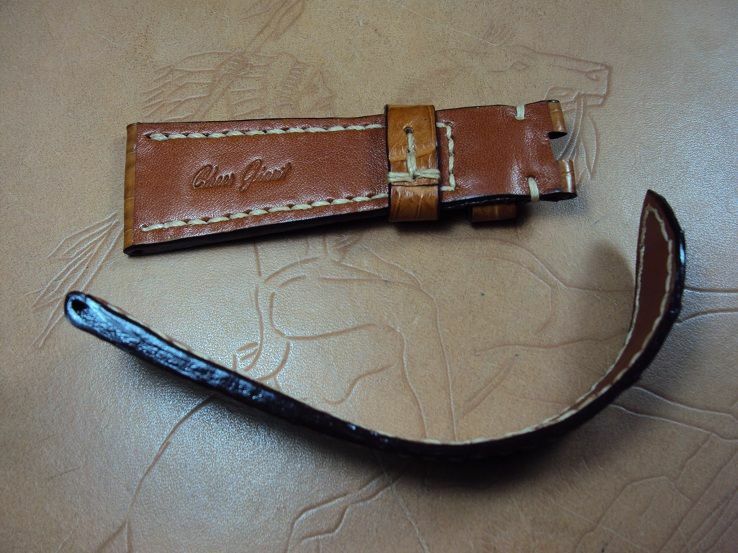 But our hand made padded croco strap was made of genuine leather board pad in the middle layer of it. 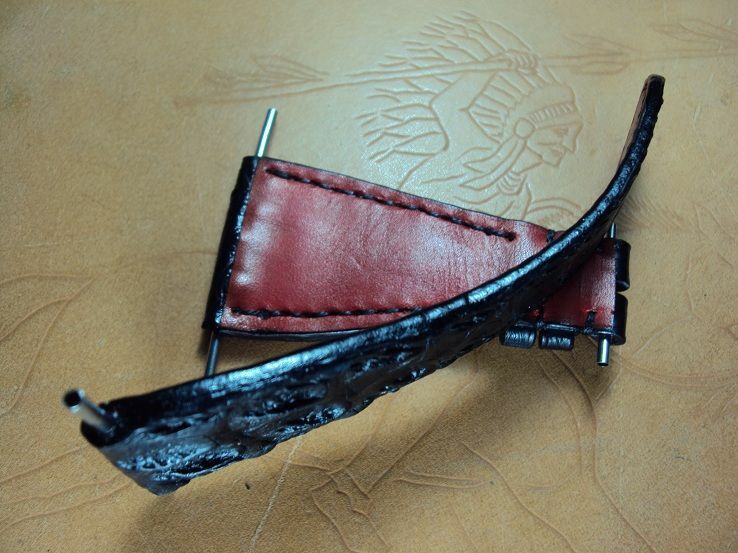 We pare the calf leather to be a curved board pad to produce the padded middle layer of the croco strap. 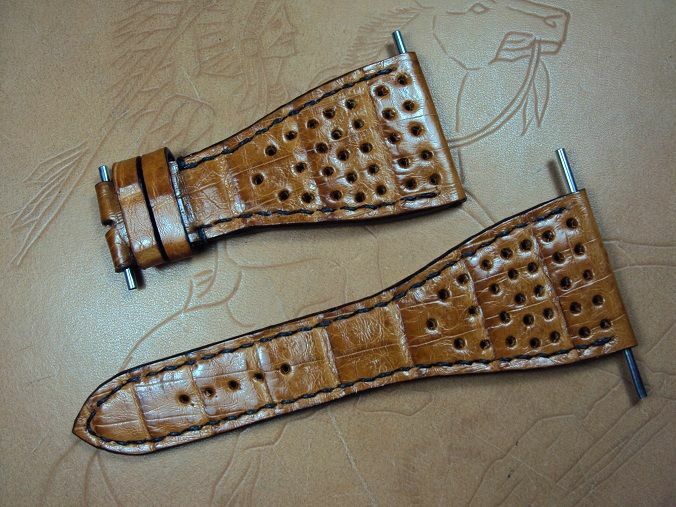 After that we sew together with the upper crocodile skin,the middle curved calf board pad and the back side calf lining. 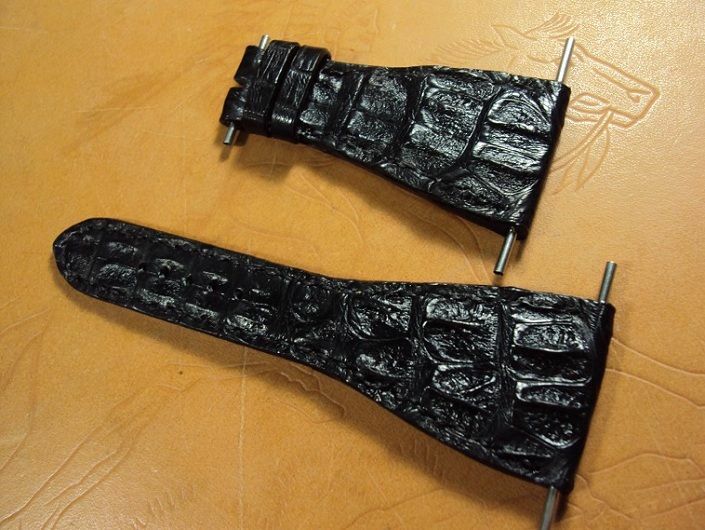 Due to that we took a long time to make each padded crocodile strap. 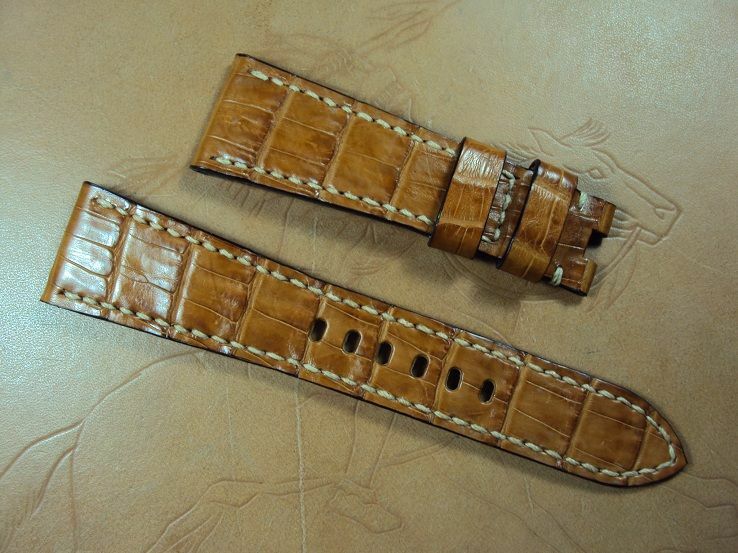 The PATEX PHILIPPE heavy padded croco belly strap is priced at $ 210 USD, it charges the promotional price at $ 160 USD. 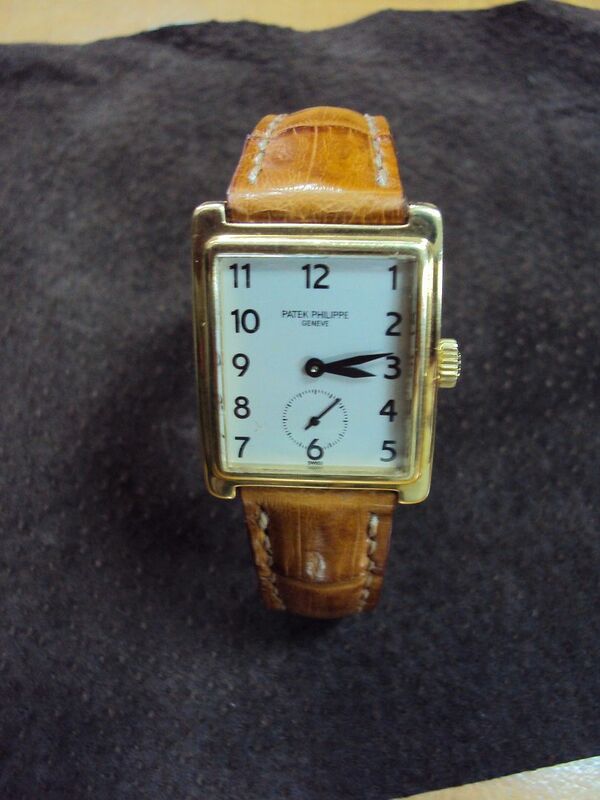 Shipping for worldwide Express Mail Service please plus extra $24 USD. 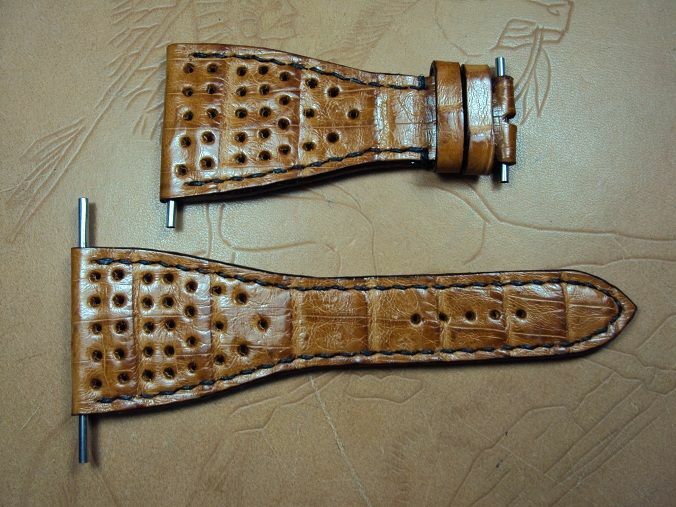 Svw453 Roger Dubuis G43 golden square chocolate brown crocodile custom strap, 32x18mm, 70x110mm, black stitch. 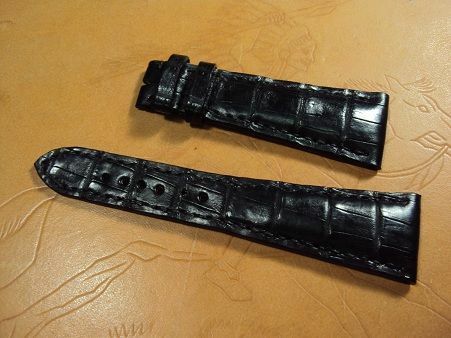 The Roger Dubuis G43 custom croco strap that has punched 30 little holes is priced at $ 250 USD, now charges the promotional price at $ 200 USD. Shipping for worldwide Express Mail Service please plus extra $24 USD. 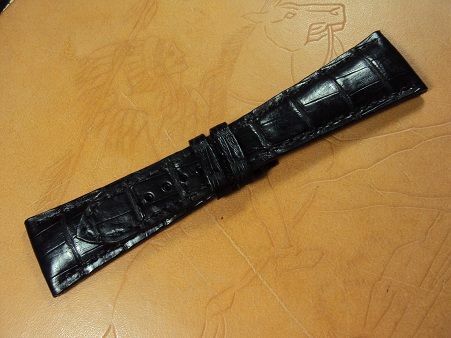 Svw454 BVLGARI heavy padded black croco strap, 26x16mm, 78x118mm, black stitch. 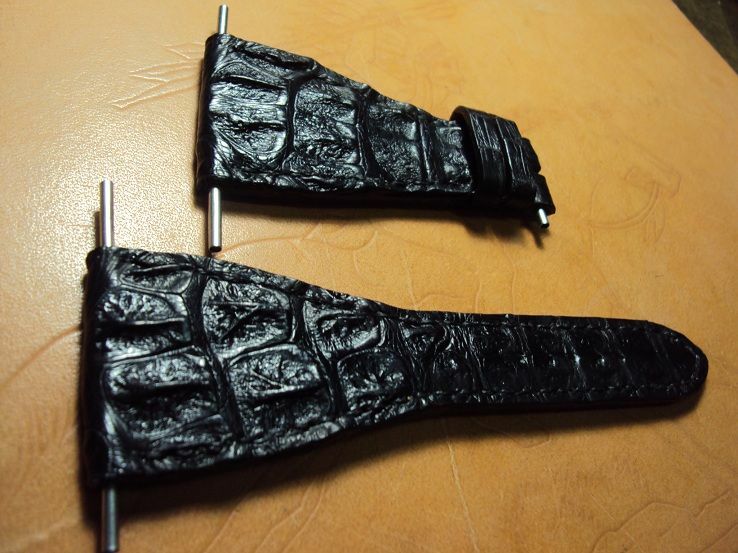 The heavy padded croco belly strap is priced at $ 200 USD, now charges the promotional price at $ 150 USD. 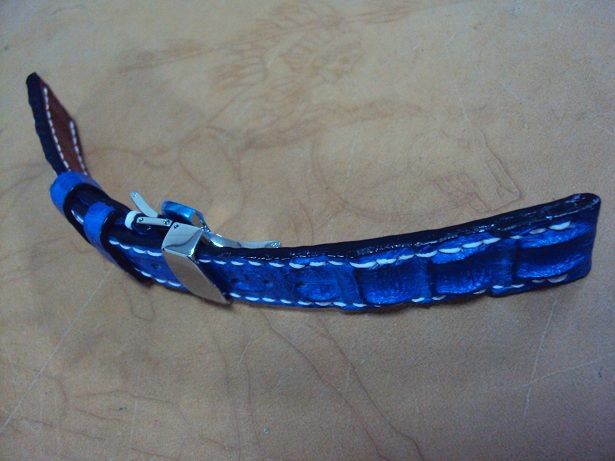 Shipping for worldwide Express Mail Service please plus extra $24 USD. 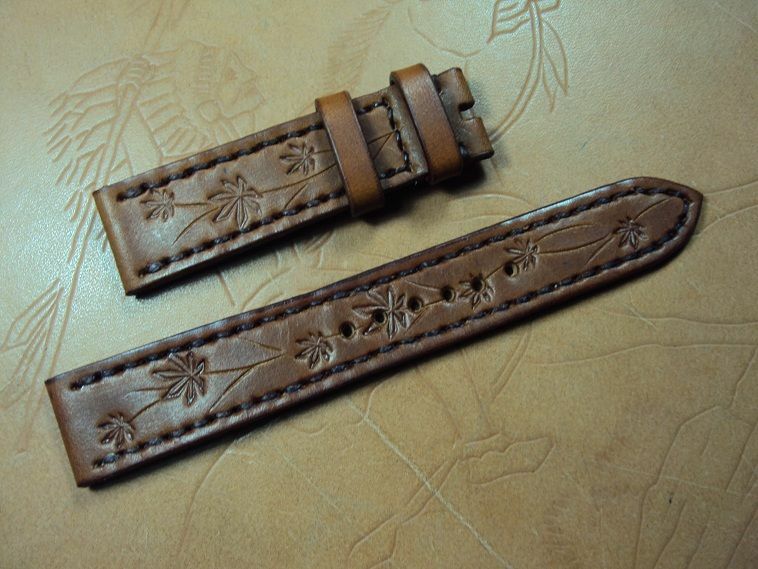 Svw455 Custom maple strap, honey brown maple cowskin strap, 18x16mm, 65x115mm, thick 4.5mm taper to 2.5mm, brown stitch. 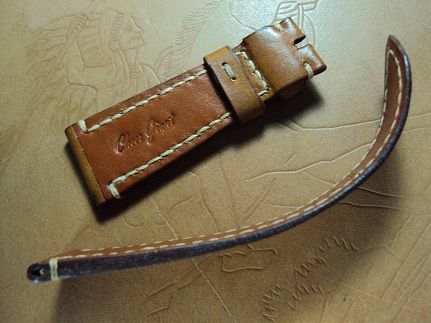 The maple cowskin strap is priced at $ 150 USD, now charges the promotional price at $ 100 USD including registered airmail worldwide shipping. 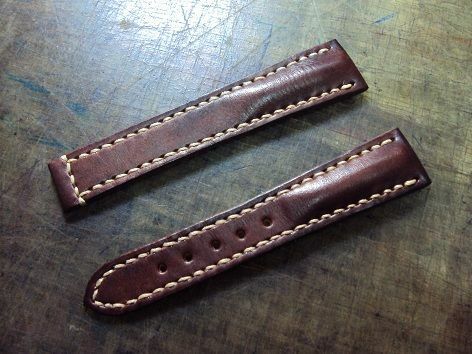 Svw456, Custom deployant strap, tan vintage leather strap, 25x20mm, 75x125mm, thick 3.5mm taper to 1.8mm, offwhite stitch. 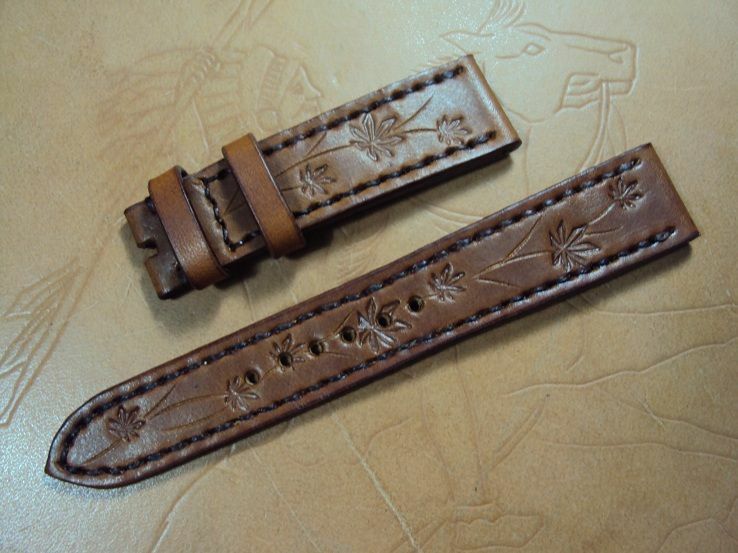 The tan vintage cowskin strap is priced at $ 130 USD, now charges the promotional price at $ 80 USD including registered airmail worldwide shipping. 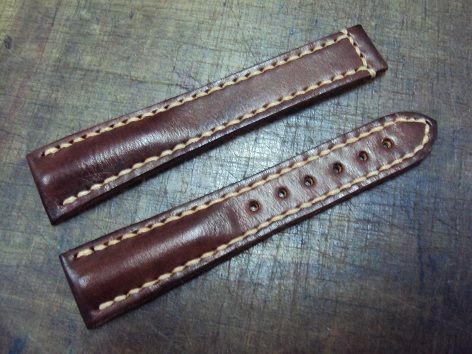 Svw457, OMEGA chocolate brown vintage leather deployant strap, 20x16mm, 100x105mm, thick 4.5mm taper to 2.0mm, cream stitch. 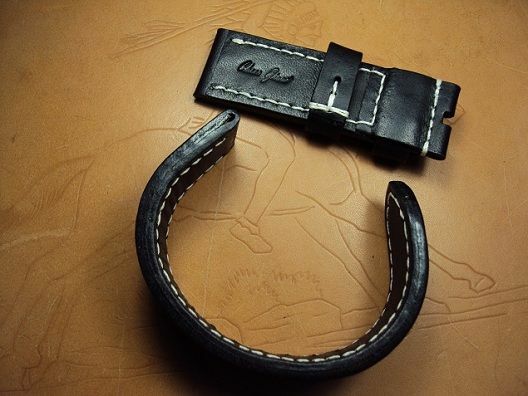 The heavy padded deployant cowskin strap is priced at $ 140 USD, now charges the promotional price at $ 90 USD including registered airmail worldwide shipping. 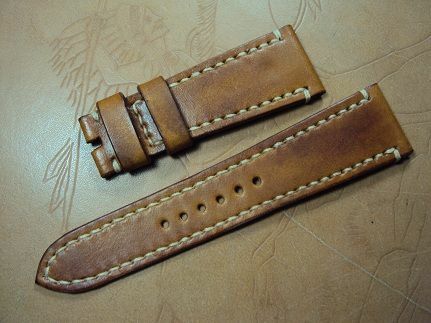 Svw458, Panerai Radiomir chocolate brown crocodile deployant strap, 26x20mm, 85x135mm, thick 4.0mm taper to 1.8mm, cream stitching. 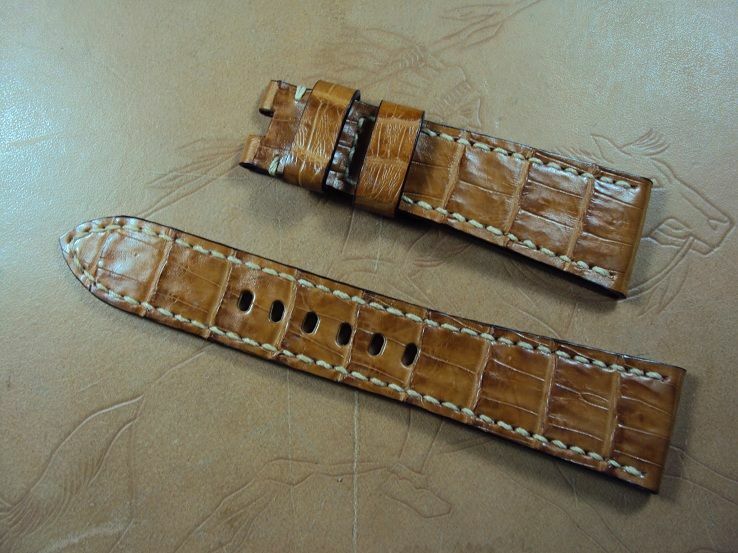 The deployant croco strap is priced at $ 200 USD, now charges the promotional price at $ 150 USD. Shipping for worldwide Express Mail Service please plus extra $24 USD. 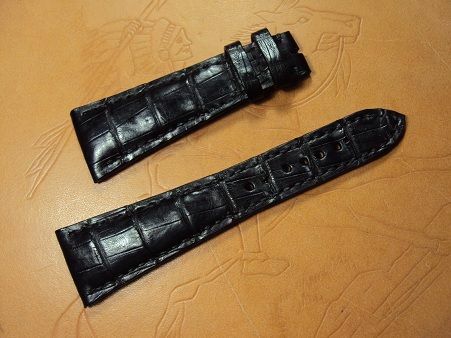 Svw459, Roger Dubuis G43 golden square black dual big horn crocodile custom strap, 32x18mm, 70x122mm, thick 7.0mm taper to 3.0mm, matched stitching, red calf lining. 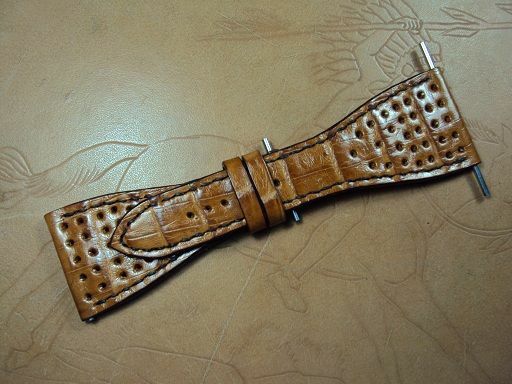 The Roger Dubuis G43 custom dual big horn croco strap is priced at $ 350 USD, now charges the promotional price at $ 250 USD. Shipping for worldwide Express Mail Service please plus extra $24 USD. 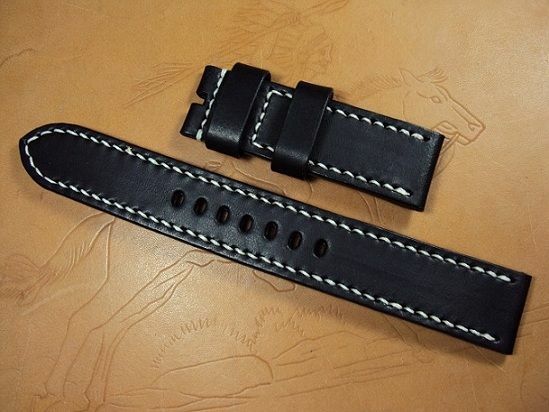 Svw460, SEIKO 6105 ultrasoft black vintage leather custom strap, 19x20mm, 70x110mm, thick 4.0mm taper to 3.5mm, black stitch. 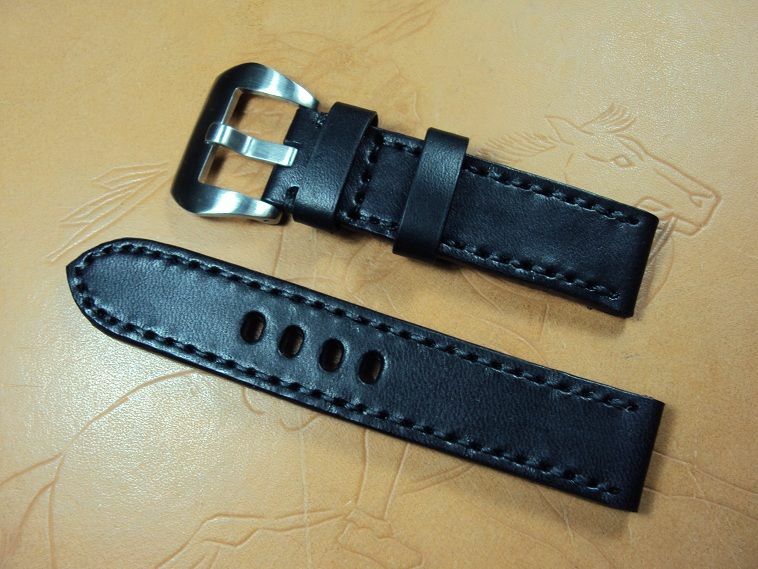 No including the replace pre-v buckle which charges extra $ 15 USD.